There are times when you’re on your cooking space and suddenly think to yourself “I am ready to replace these kitchen cabinets”. 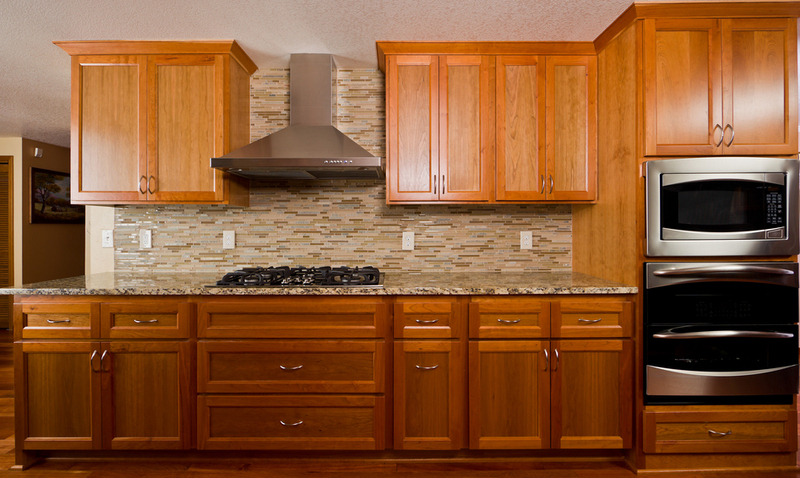 You can be warned to alert your nerves; now replacing your cabinets can be both time consuming and expensive. Getting rid of old cabinets that were great twenty years ago or with that off-centre cabinet door that doesn’t get closed seems a good option. You can rush with your idea on how to replace kitchen cabinets is crucial particularly while updating your kitchen to create a new exciting look that is both structural and functional sound. 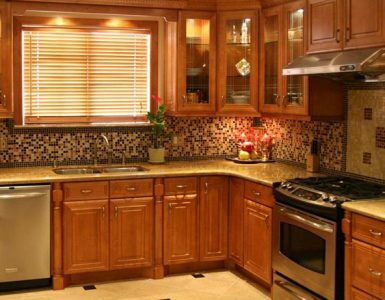 Replacing your kitchen cabinet means, a complete renovation that leave your kitchen out-of-service. Therefore, you need to ensure that you’re fully committed to its costs and inconvenience. Once you’re sure, get estimation from various home improvement sources like independent contractors whom you can trust (as referred by your friends/family), improvement centers who can often time are less expensive. Here are some of the peak ideas that will let you through your renovation process. Follow these advices and trust in your instinct. This will lead you to a brand new kitchen that is a source of joy and pride in your home for many years to come. Kitchen installers begin by using a markup location of the base cabinet and wall. They remove the cabinet doors and build individual cabinet units that go smooth with the installation process. Even the doors are replaced once the cabinet gets mounted in its right place. Installers also use spade bit to drill homes in back of the upper-corner cabinet to accommodate electrical wiring. The upper-corner is installed first and is lifted to place. Then the pre-installed wire is fed through the hole at the back of the cabinet. Thereafter, the cabinet is attached to walls through woodscrews. After lining up the edges of the two cabinets perfectly, the installer drills a pilot hole through the framework. This ensures to secure the cabinet together with stainless-steel woodscrews. After the 2nd cabinet is fitted in a perfect manner, the installer attaches it to the wall using specialized 2-1/2 inch screws. This step is repeated for all the cabinet units: placing, leveling, pre-drilling and then securing to the adjoining cabinets with woodscrews. Prior to installing the final upper-cabinet, the installer takes measurement and cut-filler strip for the distance between the cabinet sides and the wall. The filler strip is then glued to cabinet through wood-glue. A pilot hole is drilled to secure the cabinet using woodscrews. The installer then holds the open shelf unit against the corner and attaches using a nail gun. They then rehang two of the cabinet doors and make fewer adjustment over hinges to make sure the doors opens and hangs properly. Measurements are taken and width is decided to attach crown molding at the top of the cabinet. Strips of molding are cut precisely for every section using power miter saw. Each section for installing the molding must be clamped and fitted before it is attached using nails and wood-glue. Once the molding is over, a bead-of-caulk is applied to the groove between the molding and upper-cabinet that conceals the seam. This same style of bevelled molding is also installed along the lower of the upper-cabinet that conceals the under cabinet lights. Careful measurements are taken to cut the segment to length, gluing and nailing the sections of molding in place. Installer begins by turning each cabinet on its side and attaching a pine board to the lower side of the frame-board. First two cabinets are placed in position and clamped together using quick release bar clamps. Then for upper-cabinet, these are secured together using screws and stainless steel by first pre-drilling pilot holes and them installing the screws. With the first two cabinets in attachment, the installer secures them to wall using screws. After the measurement and leaving off space for stove, the carpenter installs a narrow base-cabinet attached to wall between the space for refrigerator and stove. With the sink base cabinet turned upside-down & resting on floor, the installer attaches riser to the cabinet base. After a series of careful measurements, carpenter drills hole into the floor of the sink-base cabinet and cuts the larger opening using a saber-saw. With holes cut, the sink-base cabinet is lowered to position and extends the pipes up through the hole. Then the carpenter attaches stripes with screws and wood-glue. The blind corner base is moved to position and the final base unit is set up. Measurement is made and space is left between the sections for the dishwasher. The unit is carefully lowered and secured with nails through air powered nail-gun. Wood strips are nailed to the back of the final two-sections of the base-cabinet. This renders stability to wainscoting. Vacant space is reserved for dishwasher and a support brace that is attached between the two-section of cabinet. With plywood reinforcement attached, the carpenter attaches the pre-finished wain-scoting to cover the back end of the kitchen peninsula. The given above order to make your own kitchen cabinet is extremely helpful when you’re fed up with your old shelves or incurring hard times. These ideas are sure to be applied with feasibility and under advantages effect. If installers are not available, you can bring any expert and replace your cabinet by yourself by carefully attending the above procedure. This ideal means is applicable to any modern kitchen makeover and covers a ground operation to deal with caution.